Catriona and Forbes have been busy lately. 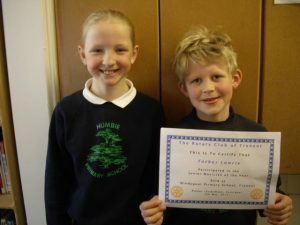 Last week they took part in Tranent’s Rotary Club Musician of the year competition. They both played very well and Forbes came second in the Primary 5 section. 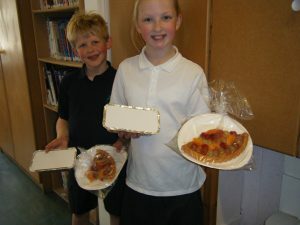 Yesterday they were at Ross High taking part in the Little and Large Cookery Competition and they came out winners of that heat. They now go forward to the finals which are to be held in Musselburgh in a few weeks time. Well done to you both.